Google Analytics has an intimidating name. Just the word analytics implies difficult math and time consuming statistics, a connotation scary enough to frighten away many small business owners. Furthermore, Google Analytics is plagued by other intimidating myths such as a difficult setup process, an overwhelming interface or expensive analysis. In reality, using Google Analytics is not difficult and is, in fact, essential to every small business with a digital presence. It is worth every business owner’s time to use Google Analytics as a tool to better understand their customers, products, services and marketplace. In that spirit, I’m going to debunk the five most common Google Analytics myths and show you why Google Analytics is key for your small business. While this may have been true in the past, today’s installation and setup of Google Analytics is a five minute process. Google Analytics can be accessed with any type of Google account, if you have Gmail you already technically have access to Google Analytics. If not, creating a Google account is simple. Linking Google Analytics to your website or web property is quick and easy. The majority of common web platforms, such as WordPress or Shopify, allow you to simply input the tracking number into a plugin. No coding required, just a quick copy and paste of an 11-digit number. This five minute process is a critical first step in unlocking digital success. While Google Analytics is powerful enough to allow for deep dives into technical minutiae, the essential information for a small business owner is always near the surface. Raw traffic numbers, traffic sources, demographic information, bounce rates, click through rates and other core information are all within two clicks of the home screen. Google has added a lot of functionality to the software but always keeps the most essential within arms length. With minimal practice in Google Analytics, any small business owner can access key information and take action to improve the digital health of their business. Plus, the reports are easy to understand and to generate. For tips on which reports you should pay attention to and how to make sure your Analytics is set up to track the correct data, check out our Ultimate Guide to Google Analytics. This is a myth brought down from the corporate world. Many large companies produce a tremendous amount of data through their web presences or other business activities. They then hire expensive business insight teams to spend all day analyzing data to produce strategic insights. For a small business, having a data analysis team is not necessary. The key reports and data you need are readily accessible in Google Analytics for free, and it’s easy to find and analyze. It doesn’t take an expensive team to make sense of your data. Once you learn which numbers are important for your business, you’ll be able to start using that information to guide your marketing decisions. 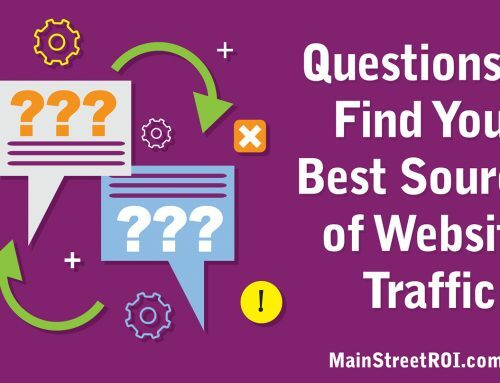 For example, with just a few clicks to the Acquisition reports, you can find out which marketing channel — email, social media, SEO, Google AdWords, etc — is driving the most traffic to your site. 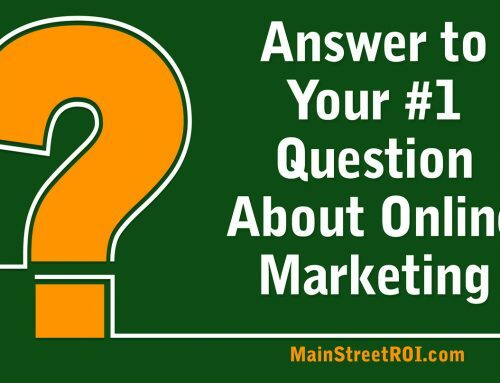 Then, you can choose to spend your valuable marketing dollars on the channels that drive the best ROI. Many common web platforms now include basic traffic analytics capability within their interface. WordPress, Squarespace, Shopify, etc all provide ways to see how many people have come to your site that day, how long they stayed, etc. These are fine as an overview resource but none, so far, replace the sheer power, depth, and versatility of Google Analytics. Google Analytics has a much stronger analysis engine that is able to organize data into more specific and important ways. Even if you’re only interested in the reports generated by your web platform, Google Analytics will still consistently do a better job at reporting than the baked-in web analytics. Plus, as you grow you never know what type of new insights you might need and when you might outgrow the basics. Thankfully, once you set up Google Analytics you’ll be able to pull both basic data and in-depth reports should you need them. Many times business owners will tell me that they already have an understanding of their customers and their customers’ behaviors. However, Google Analytics is almost always able to provide new insights for business owners, particularly around demographics. Product based businesses often gain a lot of insight into their archetypical customers via Google Analytics; often they are a bit older or younger than expected so marketing messaging is adjusted to better fit. Furthermore, the digital dynamics of the economy are shifting quickly and digital business rules are constantly being re-written. Staying digitally savvy and customer centric are ways to insulate your business against any dramatic shifts. Google Analytics is a tool that provides valuable insight into your customer, products and marketplace regardless of the size of your business. At its heart, it is a tool aimed to facilitate consistent business insight and growth and one that all businesses should be using.